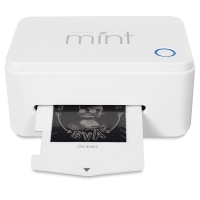 Once you have your design prepared, insert a stamp sheet into the Mint, send your design to the machine, and the Silhouette Mint will produce a custom 3-D relief. 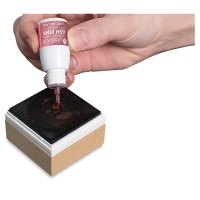 Attach that to a stamp base, apply Mint Stamp Ink in one or multiple colors, and you're ready to stamp. 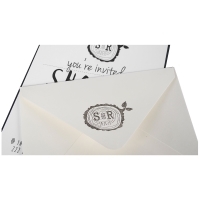 Each application of ink lets you stamp approximately 50 images before reapplication is required. 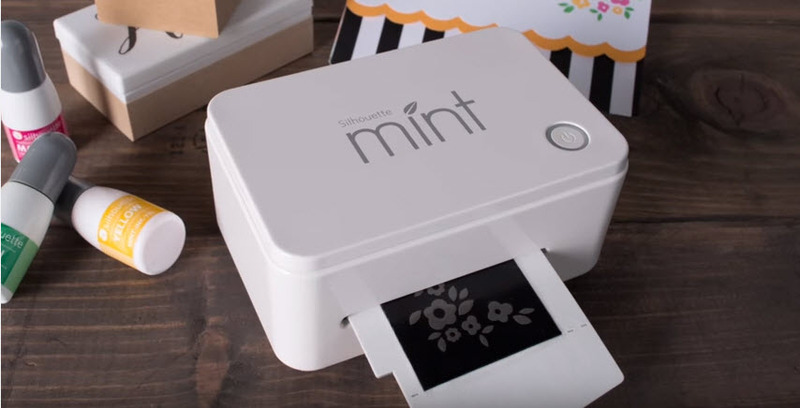 The Silhouette Mint measures 2¼"H × 4¾"W × 3¼"D and can create stamps up to 15 mm × 90 mm (separate purchase of larger size stamp kit. 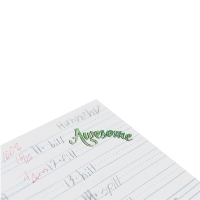 required). 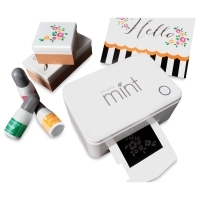 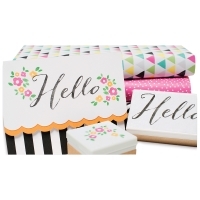 For larger stamp kits, inks, and accessories, click on the Silhouette Mint Stamp Making Accessories link below. 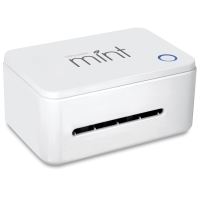 ® Silhouette is a registered trademark.™ Mint is a trademark.